Using proven seal and can designs and heavy-duty frames, these idlers are ideal for medium duty aggregate applications.The line, currently comprised of 4" B Idlers and 5" C idlers, is widely available and is being used by both end users as well as large OEM conveyor manufacturers. The "Sealed for Life" bearings eliminate the need for any maintenance. 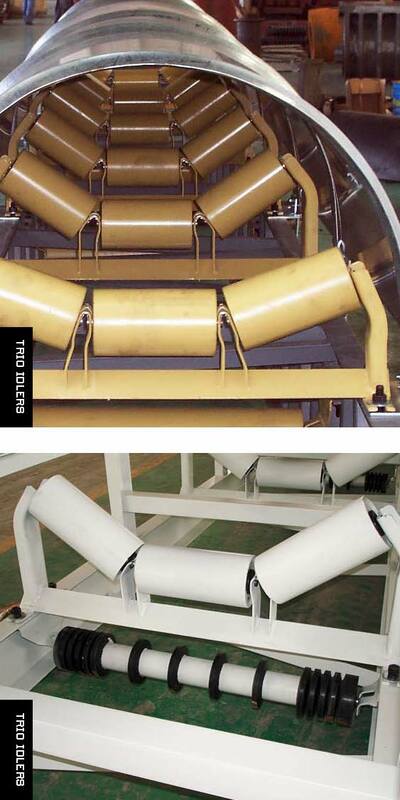 The idlers are also interchangeable with a number of other manufacturer's products. Belt widths 24" through 60"